Founder and CEO of PCS-Counseling, a 37 year old clinical, change management, and life coaching firm, Dr. John Mlinarcik, Ph.D., LMSW, is all about helping people change. Dr. John has logged thousands of hours managing confidential consultations with individuals, couples, and groups who are resistant to change. He also conducts performance assessments from a business entrepreneur’s perspective. He earned his Bachelor of Science degree in social psychology, two independent Masters degrees in school psychology and clinical psychology, and his Doctoral degree in clinical/organizational psychology. Dr. John has conducted specialized presentations and workshops in personal growth and change management throughout North America. He has authored and lectured on the changing landscapes in personal growth and business improvement. 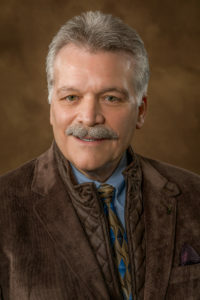 He has led several state and local efforts He was the founding president of the Michigan Association of Professional Psychologists along with influencing the Michigan Psychologist Licensure Law (P.A. 368). When residing in northern Michigan he developed, administered, and supervised all community mental health programs in Clare County including direct patient care, treatment management, and organizational development. He also developed a chapter for Parents Anonymous for abusive, neglectful, parents. Also during this time he assisted in emergency interventions, evaluations, and hostage negotiations with the Clare County Sheriff’s Department. He is a past board member for the New Hope Christian Center for Grief Support in Northville, Michigan. He practices as a licensed masters social worker, board certified professional counselor, and life coach.